What would it feel like to be invisible? Sure, you might be able to do all sorts of things that you wouldn’t do if you could be seen, but what happens when the novelty runs out and you’ve disappeared from the world? 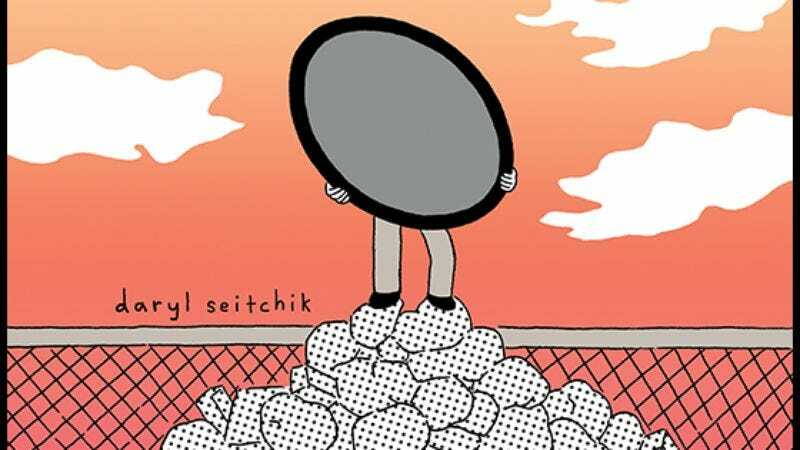 Cartoonist Daryl Seitchik explores these questions in her new Koyama Press graphic novel, Exits, following a young woman who randomly turns invisible one night after her shift at the mirror store. This exclusive excerpt from the book details the final moments of Claire Kim’s workday just before the supernatural incident, highlighting Seitchik’s mix of melancholy and humor as Claire fantasizes about her funeral to escape from her work duties. As much as Claire wants this to be a mournful occasion, she can’t prevent her mind from undermining the seriousness by having the funeral’s guests increasingly lose interest in the main event, and the final sentiment spoken by her friend is a refrain repeated throughout the book. Claire’s not dead, but as she grows accustomed to her new invisibility, she may as well be. Readers can see more (and less) of Claire by picking up Exits, which is available in stores now.